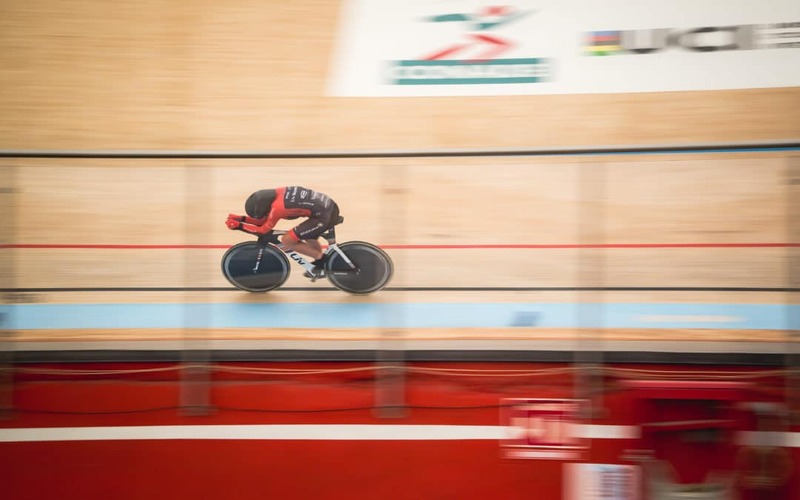 Never has the success of a project come down to such a fine line – on 13 September last year, Vittoria Bussi set a new women’s World Hour Record by 27m, an increase of 0.05%. Since the Hour Record was established in 1873, it was only once taken with a slimmer margin, when Chris Boardman added just 10 metres in October 2000 on the old ‘Merckx’ rules. Bussi and Boardman actually have many things in common – notably intellect and a meticulous method – though resources and celebrity are not among them. Vittoria’s achievement was barely reported at the time and so few people know about her inspiring, self-funded battle to fulfil a dream. Endura has just released a short film about her journey, so now seems like a good time to reflect on our involvement. I first met Vittoria in early September 2017, just a few weeks before her first record attempt in Aguascalientes, Mexico. 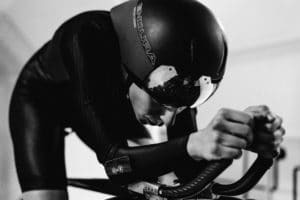 She had approached Endura for sponsorship and guidance, having found in her own testing that the skinsuit we developed with Endura was fastest for her, and we met at the brand’s HQ in Scotland. Vittoria had developed her position on the track and I could see that her aero was really good, but it was so extreme as to be near impossible to ride, probably as painful as Graeme Obree’s crouch. She was riding it through sheer determination. While there was much I’d have changed, with the attempt so close there was insufficient time for her body to adapt; it takes weeks not days. Instead, we focused on making the front end more comfortable with D2Z wedges, arm rests and custom bar ends, which helped a lot. The record was then held by American Evelyn Sevens, who set a distance of 47.980km in February 2016 in Colorado, USA, adding an emphatic 1100m. Vittoria’s attempt would also be at altitude – an equal 1800m, in fact – but her three-week trip from Italy to Mexico came at enormous personal expense. Halfway into her attempt, Vittoria was ahead of schedule, but with 15 minutes to go she had to sit up a few times to take pressure off her diaphragm. Her position was just too low, causing severe cramps. She completed the hour, but fell 400m short of the record. It was so close – the pace was there – but with their funds dried up, Vittoria and her partner Rocco had to return to work. I’d thought that was the end of the story, but Vittoria was soon set on another attempt and we knew that drastic position changes were necessary. If she returned with the same position she would have the same outcome. As ever, it was a case of balancing aero drag against a position that’s both sustainable and powerful. The particular challenge was that Vittoria’s CDA was already one of the lowest I had ever seen and everything she had tried previously had resulted in slower lap times because it was simply too draggy. Happily, we had the tools and the expertise to help. We invited Vittoria to an AeroFit session in November 2017. First, we used Retul to analyse her biomechanics and identified a window in which we could adjust the saddle position to help her breathing without hurting the CDA. Then she went in the wind tunnel, where we were able to raise her position, improving sustainability, while also improving drag by a few watts. Vittoria went home to train in the new position and by the summer her numbers were looking good. Her drag was slightly lower, her power slightly higher, and she was much more able to sustain it. 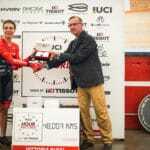 Endura agreed to sponsor a second attempt which was fantastic news. With a PhD in pure mathematics, Vittoria is, unsurprisingly, very precise and methodical in her testing. For me, she is the epitome of a great time triallist: not necessarily the most powerful athlete, but one who completely understands the importance of the power:drag ratio above all else. Alex Dowsett was just the same when we worked with him on his successful 2015 Hour Record. They remind me of some of the race drivers I worked with who have an amazing talent for engineering feedback. In my opinion, this characteristic is essential to be successful against the clock. It also meant Vittoria was very good at helping us with development of new skinsuit iterations and the Endura Aeroswitch helmet. After a year of dedicated work, Vittoria arrived in Mexico in late August 2018 to acclimatise for her second attempt. With everything in place Vittoria could only keep her fingers crossed for the best ambient conditions. Do you remember how Bradley Wiggins kept talking about air pressure around his attempt? It’s all important, the lower the better. On 12 September she began an attempt but aborted after 40 minutes as the conditions were not favourable and she was off the pace. That’s how marginal it is. Remarkably, the very next day she went for another attempt and successfully set a new World Hour Record with a distance of 48.007km. It was incredibly close – her 27m increase equates to a lead of less than two seconds over Stevens at the end of the hour. Thankfully she had left Italy in August with her power:drag ratio further improved, so even with both the track and conditions slower than in 2017 she could still do it. 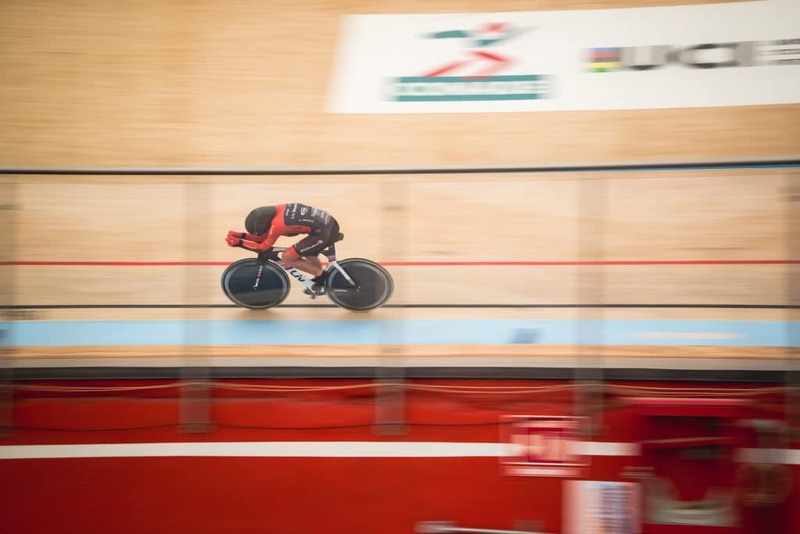 It was all about chasing marginal gains, as the Hour Record should be. It was a privilege to watch Vittoria’s journey and to help her along the way. I remember her telling me that she had some money saved up and she wanted to do something with her life. It’s a cliché, but it’s amazing what you can do if you put your mind to it! 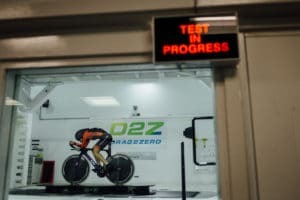 If you want to maximise your own power:drag ratio, we can help you with Aero Fit (https://drag2zero.co.uk/wp-content/uploads/2019/01/D2Z-StudioPackages-A4_V12.pdf) , combining the Retul fitting system, a wind tunnel session and our long expertise of positioning athletes at all levels, from keen amateurs to Hour Record holders and Gran Tour champions. Check out Endura’s film here.